Mummy and I spent a little time today fixing a pot of hot soup for dinner tonight. It is a “lighter” version of a classic soup. A few calories have been trimmed away but Mummy says that no one will even notice! We were finished with the preparation in no time at all and Daddy proclaimed it DELICIOUS!!! I hope that you will give it a try and see for yourself. 4 cups of broccoli florets, save the stems and chop these up too! Cut the florets from the broccoli and cut them into smaller pieces. Mummy likes these very, very small so that there are no big clumps of broccoli in the soup… but you can cut them to whatever size you prefer. Cut the stems into tiny pieces and use these too… but throw away the thick and tough bottom part of the stem, those are NO GOOD! In a large soup pot, melt the teaspoon of butter and add the broccoli STEMS, onion and potatoes… cook over medium heat until soft… about 5-8 minutes. Add the flour and stir it all together. Cook until the flour is toasted a slightly browned. Be careful not to burn this!!! Stir in your vegetable broth and lower the heat to a simmer. Keep cooking until it is thickened up and the veggies are nice and tender… this might take about 15 minutes. 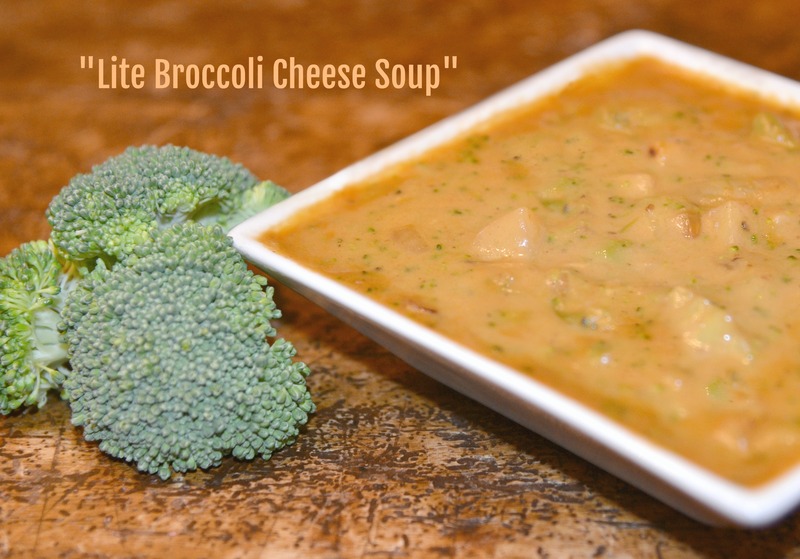 In a smaller saucepan, add 1/2 cup water and the broccoli florets. Bring it to a boil and cover the pan… allow the steam to cook the florets to a bright green. 5 minutes should just about do it. Dump this pot into your soup stock and stir everything together. Add the ground nutmeg and stir. Remove the pan from the heat and add your cheese, Worcestershire sauce and evaporated milk. Season to taste with salt and fresh ground black pepper. Garnish with a few chopped scallions if desired.